Updating a kitchen can breathe life into a living area, as the kitchen is one of the most exposed rooms in a home. At ProSource® of Buffalo, we know the kitchen is the place where cooking, relaxing and entertaining guests occurs — and that’s why our team will connect you with high-quality kitchen brands at low, wholesale prices. 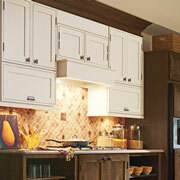 The color and design of cabinets will set the stage for their entire kitchen. At ProSource, our broad selection encompasses a variety of colors, shapes, and wood types—at low, wholesale prices—so finding something best suited for your remodel shouldn’t be too much of a struggle. 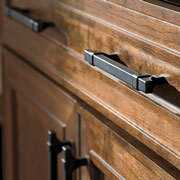 Cabinet hardware includes items such as pulls, hooks, knobs, end caps and more. These serve as both functional and decorative statements, and our selection comes in various colors and sizes. 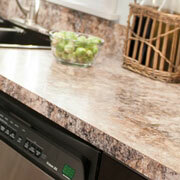 Kitchen countertops are a staple of a kitchen area, as they add a sense of personal flair to a mostly functional room. Countertops come in a variety of colors, finishes and material including granite, quartz, blended and recycled materials. 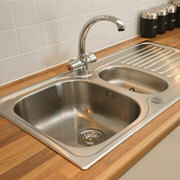 The kitchen sink is something that is used for many different tasks, from cooking to washing the dishes. Our kitchen sink collection includes large single bowl, double bowl, and triple-basin options, and our sink materials include stainless steel, fireclay and more. Whatever the use, there’s a suitable sink to be found. 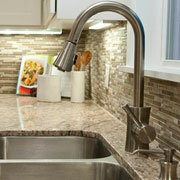 Faucets serve two purposes in a kitchen: to work properly and to add a subtle sense of personality. ProSource of Buffalo has a variety of faucet styles, colors and functions that can add the final touches to your kitchen remodel.